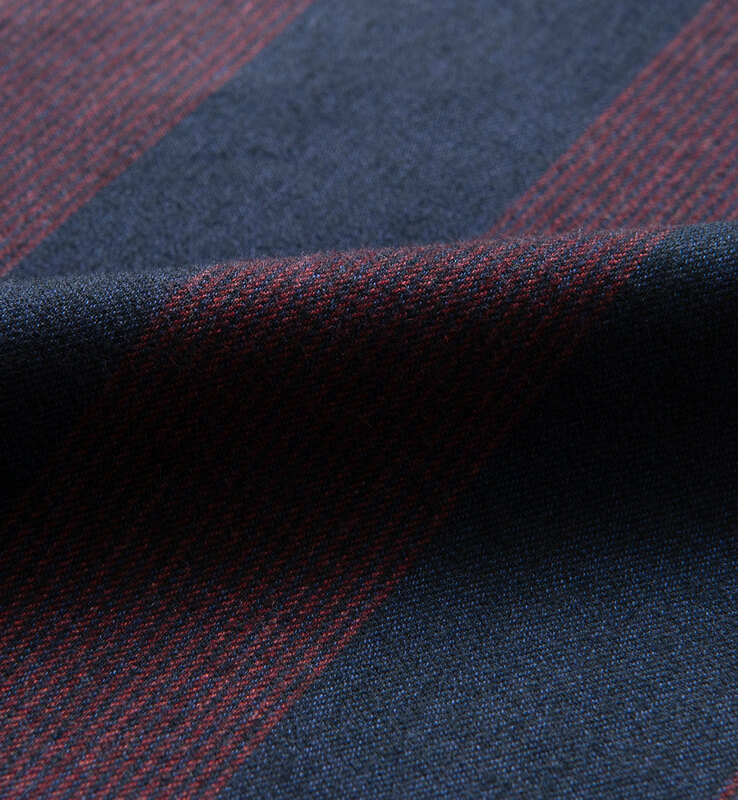 We worked closely with Canclini Tessile in Italy to develop our Beacon collection of luxurious Italian flannels. 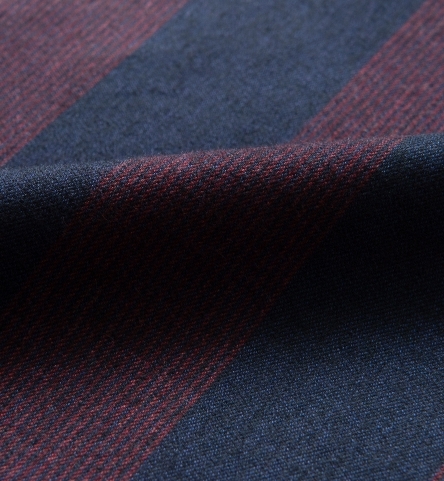 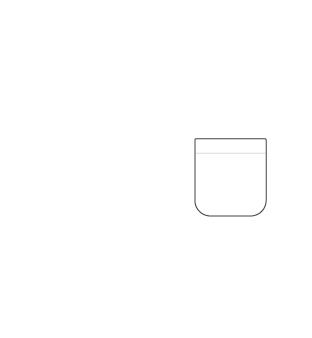 Canclini has been making some of the worlds best fabrics just outside of Lake Como since 1925. 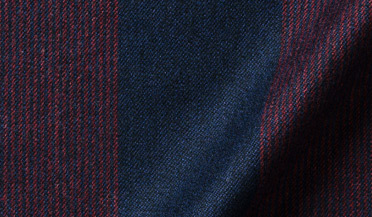 They use a 50s 2-ply yarn to weave a flannel that’s hearty yet refined, perfect for layering and comfortable enough to wear indoors. 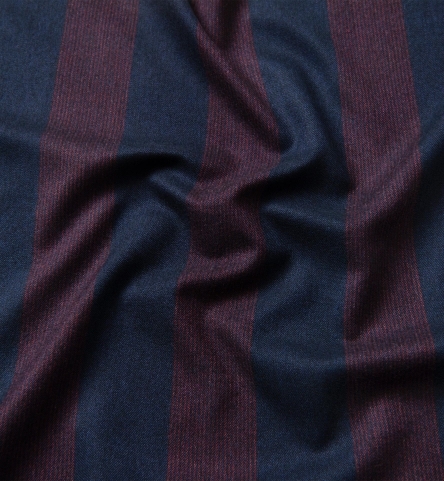 This navy and red wide stripe is a fresh take on the flannel shirt. 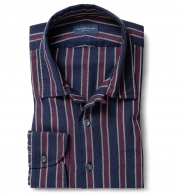 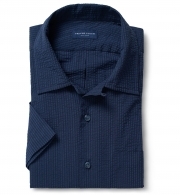 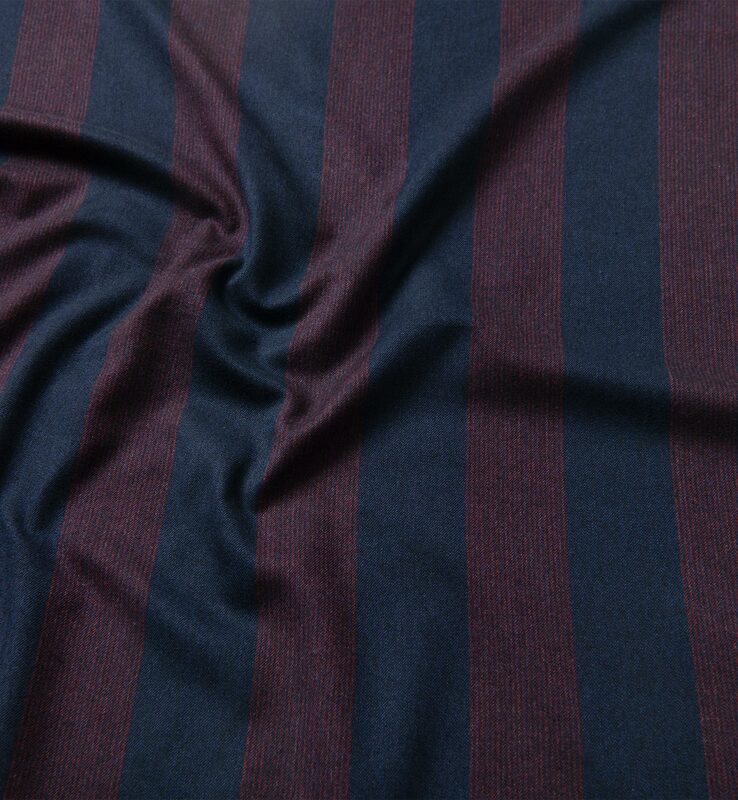 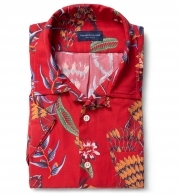 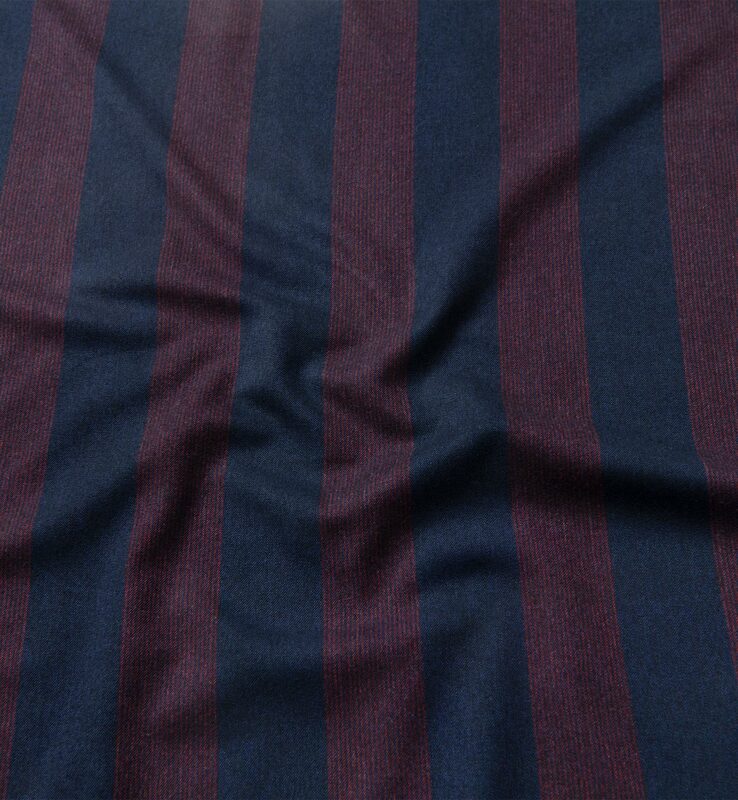 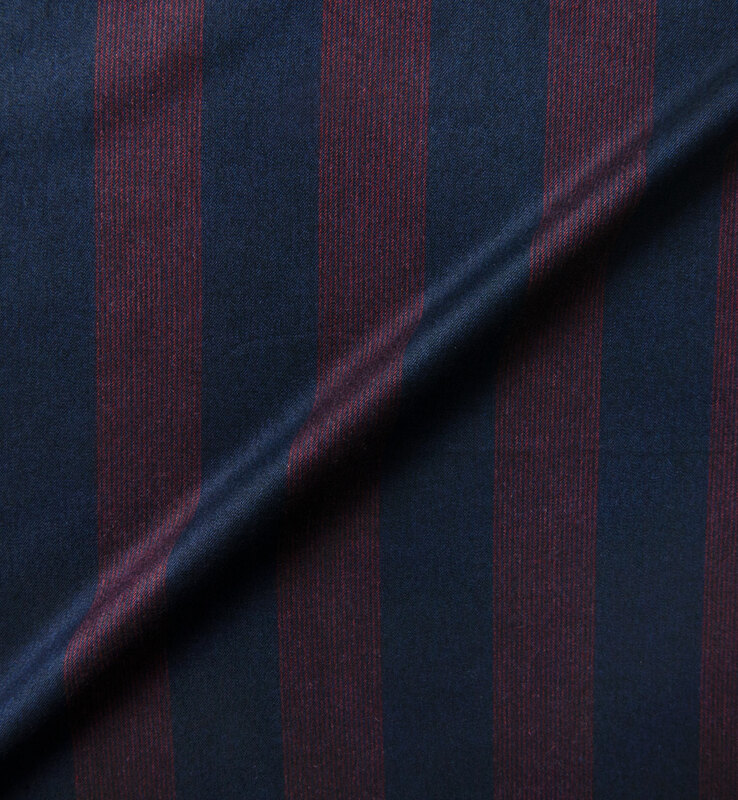 The unique stripe pattern, consisting of groups of red fine stripes against a navy ground color, makes for a truly eye-catching shirt. 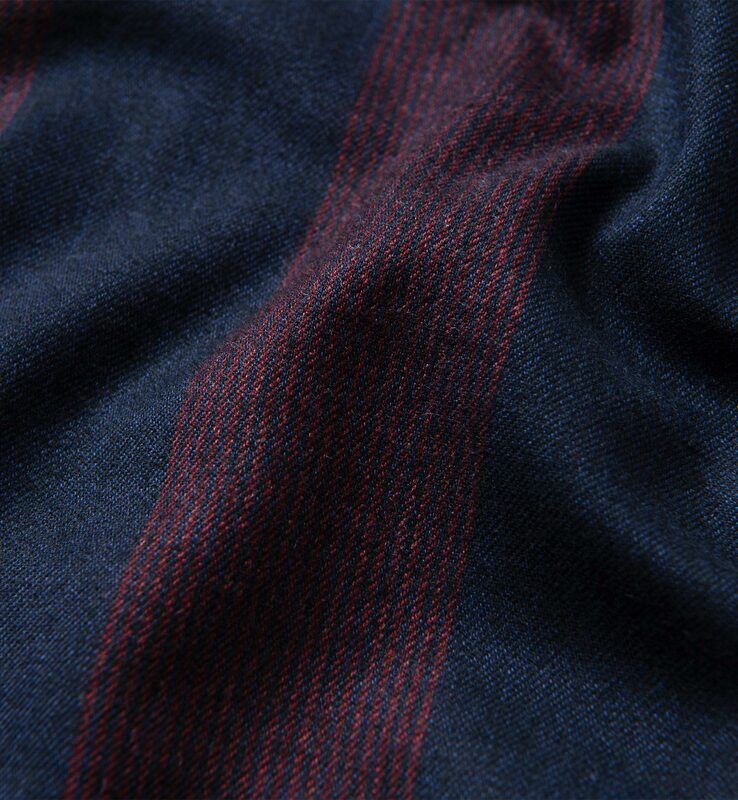 It's a casual yet sophisticated pattern that looks right at home with a pair of jeans or even dressed up a bit with tailored pieces. 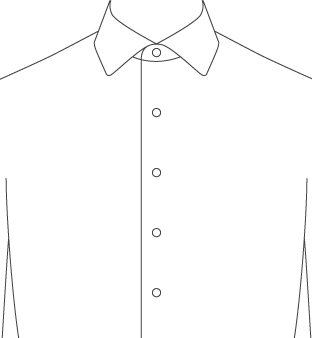 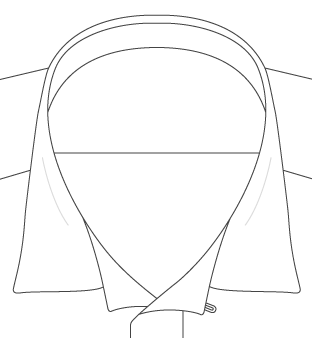 We recommend opting for soft, unfused design details like our Soft President Spread Collar, Soft One Button Cuff, and Soft Front Placket.